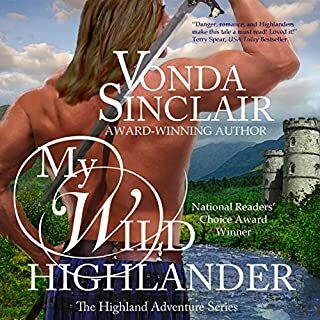 If you could sum up My Wild Highlander in three words, what would they be? Lady Angelique because she has a fighting spirit and stands up for whats right. I have a few Favorite's but The dark drawling room where she was hiding from Lord Chants-worth was funny. The Audio Narrator makes it like we are apart of the story as a side character that no one can see but we are there watching the story take place. I wish they had a female to read the female parts. I think it would have run smoother for me. But I still enjoyed it!!!!! I would tell everyone its a must add to your Audio list.